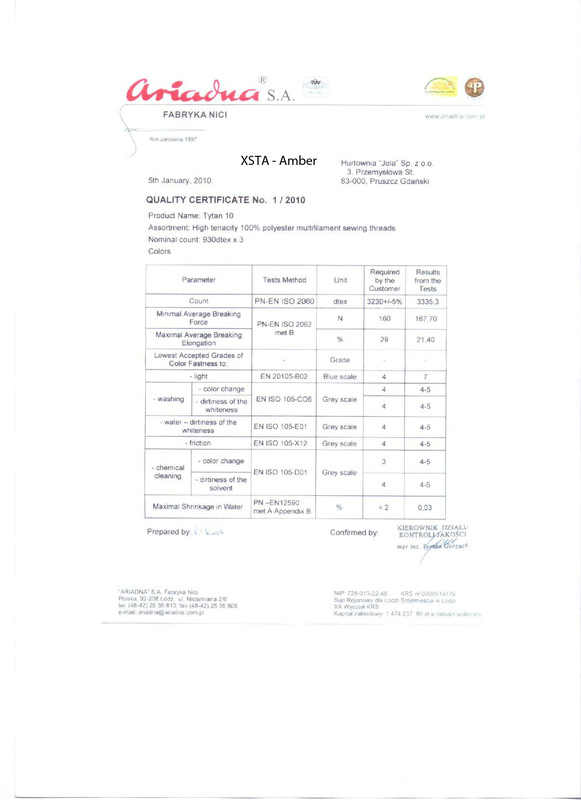 UAB XSTA AMBER is a company that has been working for many years. which started its activities from 2011. Personal experience in this field has been around for about 30 years. Therefore, this company can offer a very large assortment of amber jewelry for women, men or children. 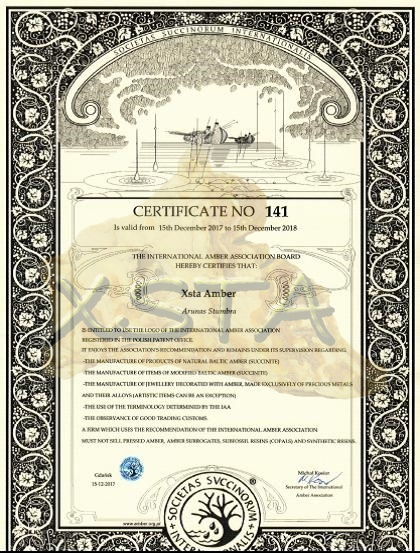 Once the company was established, XSTA has become a member of the International Amber Association. 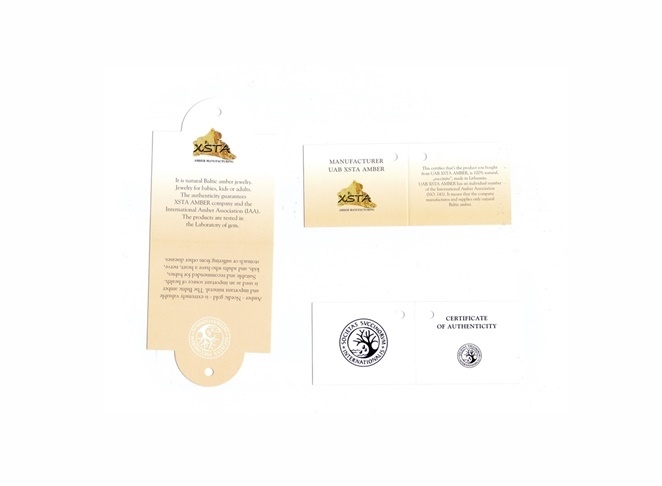 In this way, this company proves the authenticity and originality of its jewelry, and each year the company receives new certificates. 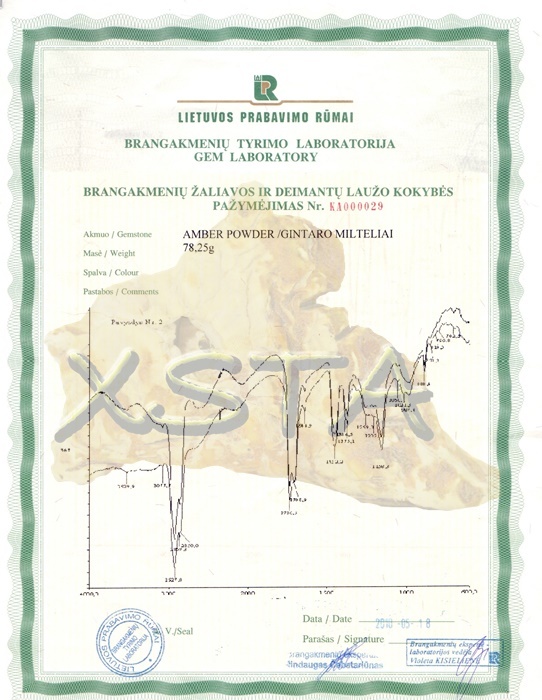 ¤ Toys and chemistry items testing laboratory- Test report certificate. 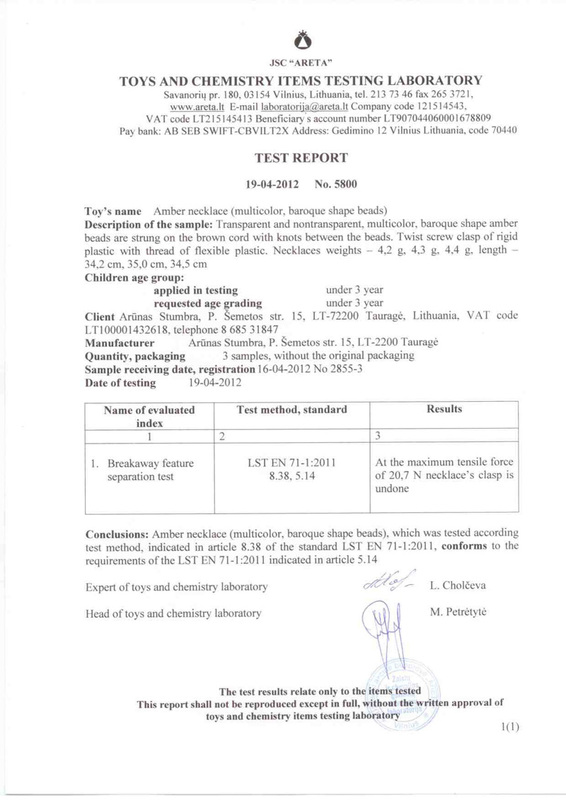 It was performed by the laboratory chemical test, which indicates that the amber baby necklace meets all European standards. Normal children aged up to 3 years age group. Most of the children of amber beads: cognac, baroque shapes with a new spin. 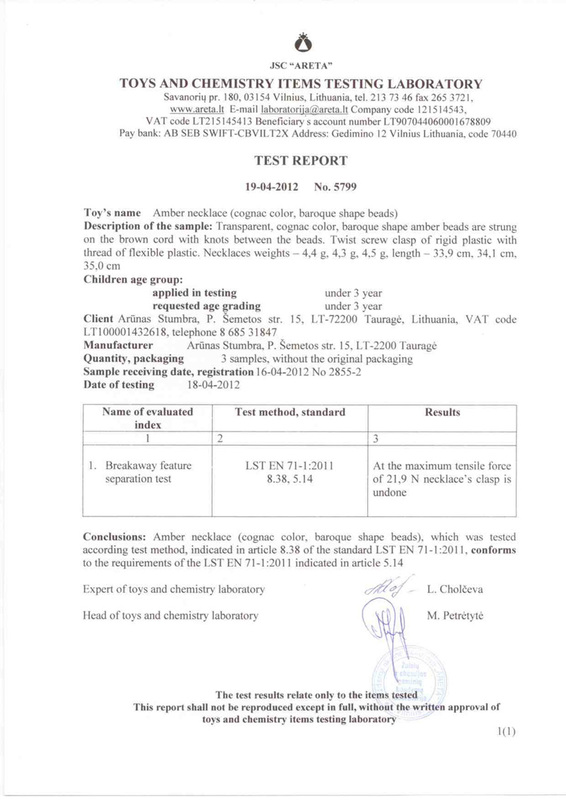 ¤ Toys and chemistry items testing laboratory- Test report certificate. 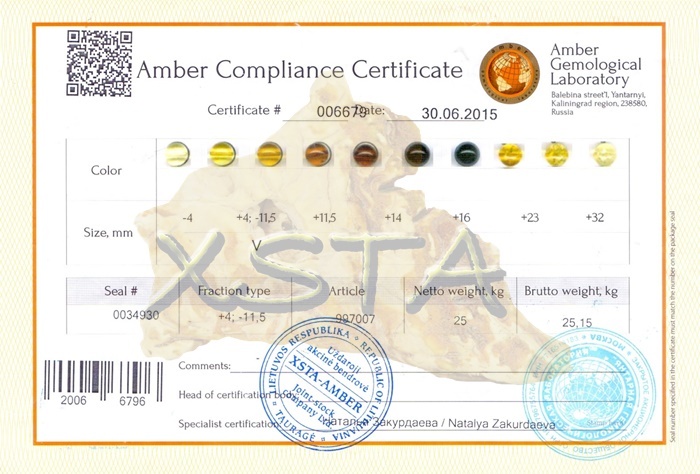 It was performed by the laboratory chemical test, which indicates that the amber baby necklace meets all European standards. Normal children aged up to 3 years age group. Most of the children of amber beads: multicolor, baroque shapes with a new spin. 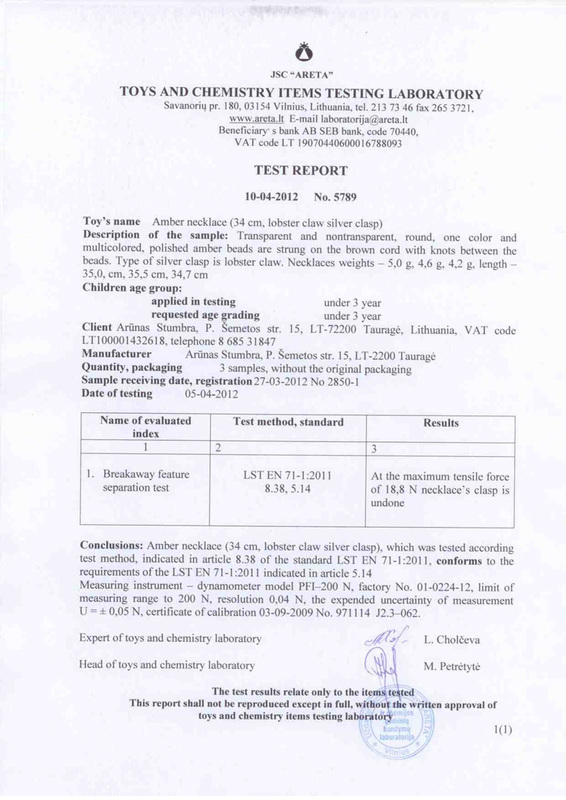 ¤ Toys and chemistry items testing laboratory- Test report certificate. 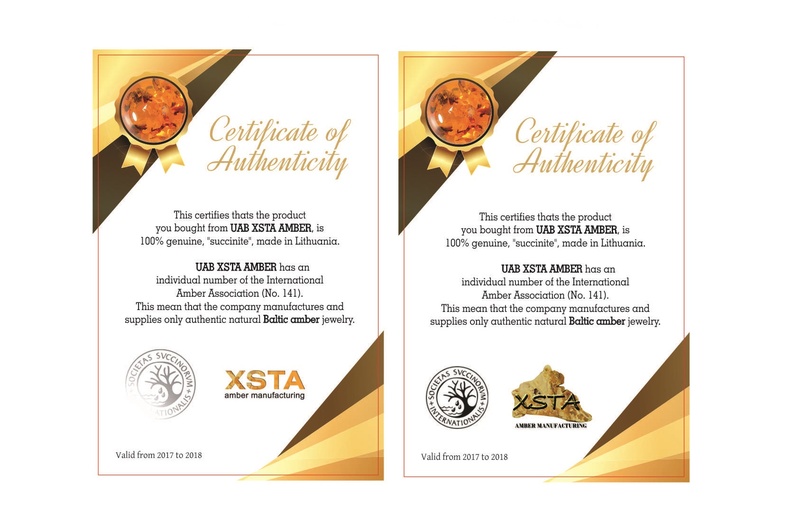 It was performed by the laboratory chemical test, which indicates that the amber baby necklace meets all European standards. Normal children aged up to 3 years age group. Most of the children of amber beads: 34cm, lobster claw silver clasp. 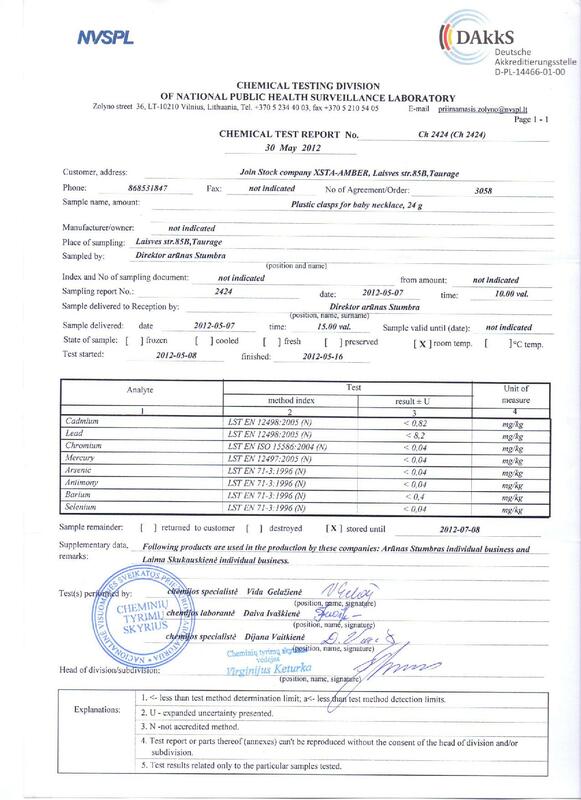 ¤ Chemical Testing Division Of National Public Health Surveikkance Laboratory.